Nature never fails to surprize me. When I photographed a leopard I hadn’t seen for a long time, it led me to make use of my earlier images of her, to confirm that this was the same cat that I hoped she was. 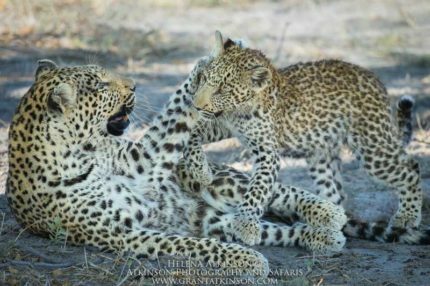 This happened in September 2017, and after a game drive out of Dumatau camp in northern Botswana when we joined a sighting of a female leopard. The cat was resting in the canopy of a sausage tree but soon after we arrived she came down and set off purposefully through the bushes. The immediate environment was heavily vegetated, making it tough to get pictures, but Mocks, our guide, had an idea of her direction. We drove ahead, and waited in an open area a little distance ahead. Sure enough, a few minutes later the leopard passed by, stopping to look around and giving us a chance for a few portrait images. Although the sun had already set, we managed a few images that we where happy with. The cat looked familiar to me, and Mocks confirmed that she had been in the area for a while. 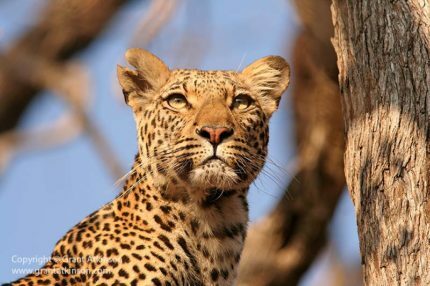 Later that evening, and back in camp, I delved into my bank of leopard images so that I could check the spot pattern of the cat. 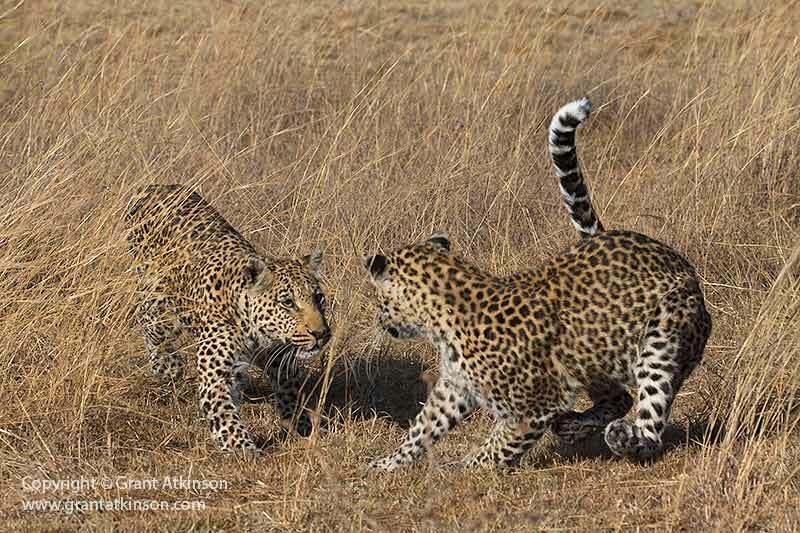 Comparing spots is a failsafe way of confirming a leopards identity as they don’t change over time. It turned out that this female cat was one I had seen many times previously, and there is nothing surprizing in that as female leopards are mostly territorial. 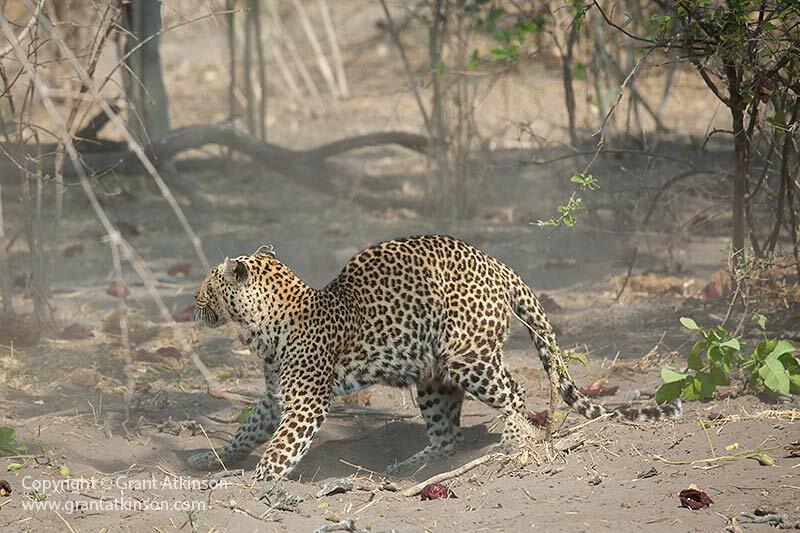 What was quite remarkable though, was that the images gave us a good idea of how long this leopard had been around. 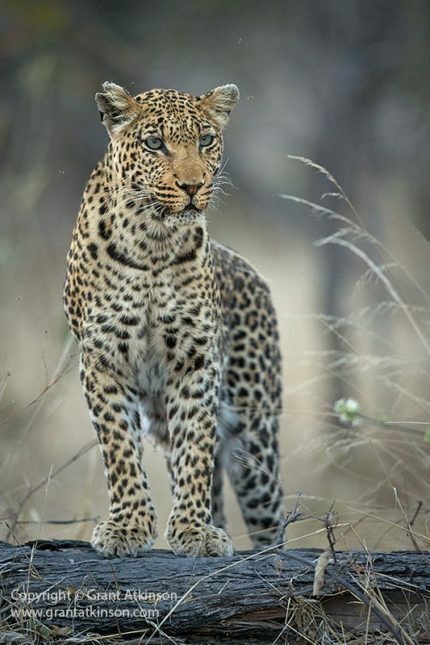 My first picture of her was from October 2005, and taken close to Savuti Bush camp. where I lived and guided for a while. At the time she was clearly a young adult, at least two years old if not a little more. This leopard was known to the guides and guests by a different name then (Rock Pan female). In 2008 the Savuti Channel began to flow again, and I had no sightings of the leopard for some years. The return of permanent water to that channel most likely had some influence on her movements as her original territory was cut in half by the water. When I next saw her in 2009, she was more than 8 kilometres north from her old territory, but doing very well. She had a fully grown daughter, that was almost entirely independent. One dry-season afternoon we watched a violent interaction with that same daughter. The mother leopard had killed an impala and had allowed the younger cat to feed on it. Even though the two cats where mother and daughter, they where no longer moving together all the time. The carcass was high in a sausage tree. When the mother leopard approached the base of the tree, she waited for her daughter to give way. 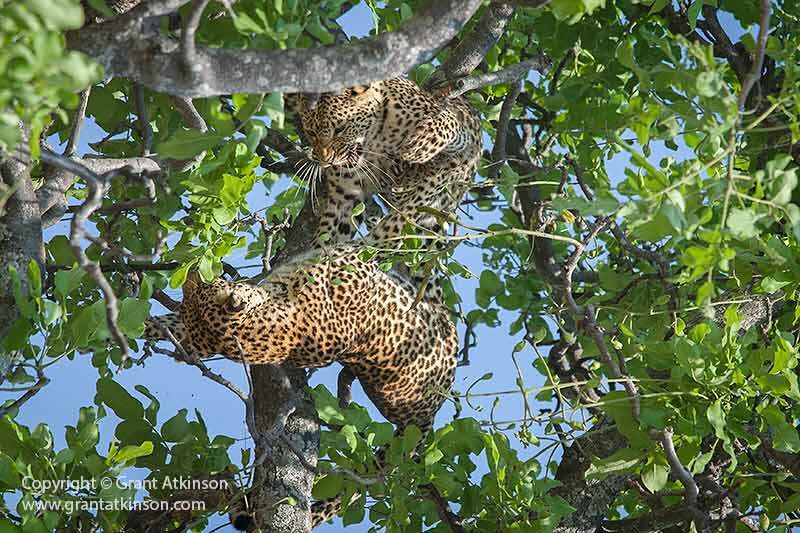 Leopards seldom feed side by side when they have food, specially in a tree. Usually one will move away from the food whilst the other eats. When the daughter stayed with the food, the mother growled at her from below and charged up the tree. A savage fight ensued, half-hidden behind the leaves and branches of the tree. Claws where bared, the two cats snarled, growled and briefly grappled with one another. 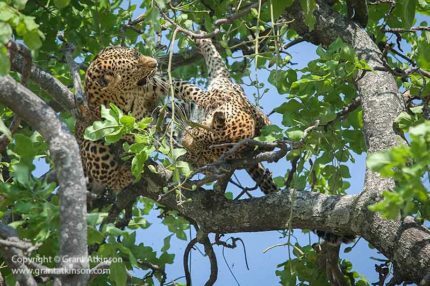 After a few seconds, we saw one leopard give way and then fall backwards out of the tree. 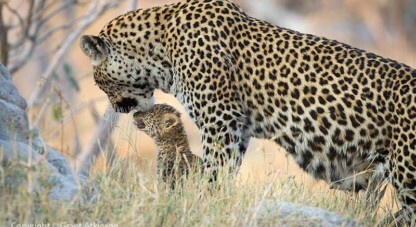 It was the mother leopard, and she seemed to hang in the air for a long time. Somehow she managed to turn herself in the air, but she landed with a sickening, hard thud. I estimated the drop to be more than 11m. We feared that she had gotten seriously injured, as she remained completely frozen for long seconds after landing, with dust drifting away behind, and her back curled up tightly. After what seemed ages, she painfully straightened her back, and limped off. She had obviously taught her feisty daughter well, but it wasn’t a pleasant sighting for us. On that afternoon, we followed as she made her steady but slow progress to a clearing in the woodland, not very far away. 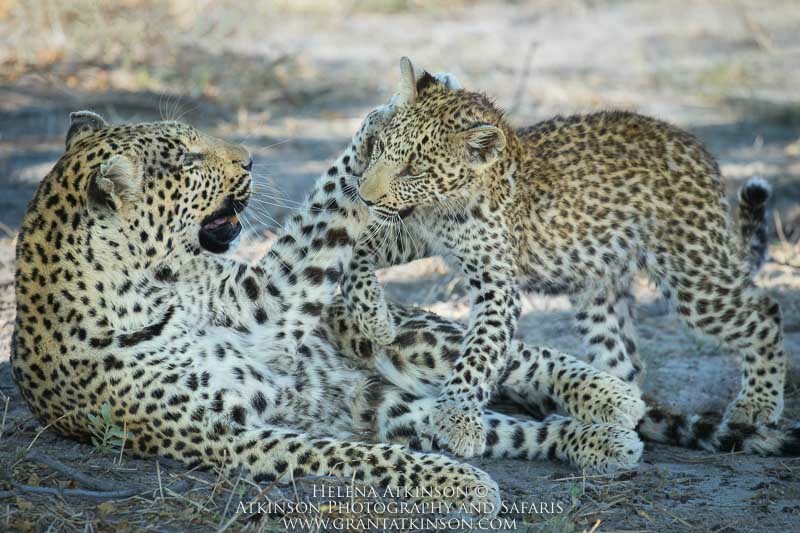 The tired-looking leopard made her way to a fallen stump, and called softly, and to our delight, two tiny cubs emerged! We spent some intimate moments watching her interact with the cubs. 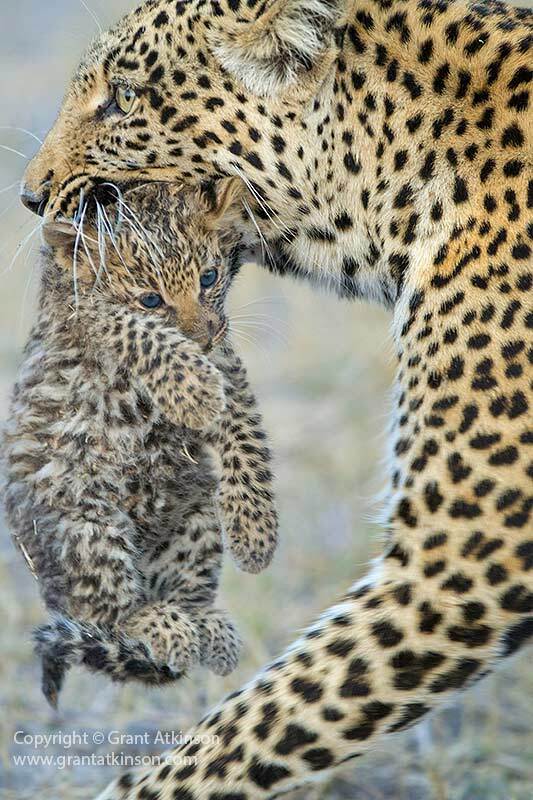 As it got darker, the mother leopard picked up one of the cubs and carried it to a new hiding place nearby. I didn’t see her again for a long time and was never sure how many of those cubs survived. Leopard mom with sub-adult son August 2016. Image with a Canon EF 100-400L IS ii and 1DX. In 2016 the highly capable cat was still going strong, with a subadult male cub at her side, and we spent a magical morning with them close to the source of the Savuti channel, playing happily in the open in between feeding bouts on a nearby kill. From Victor, our guide, we also learned that her last cub, the young sub-adult male that I photographed her playing with in 2016, was now independent and still in the area, which was great news. 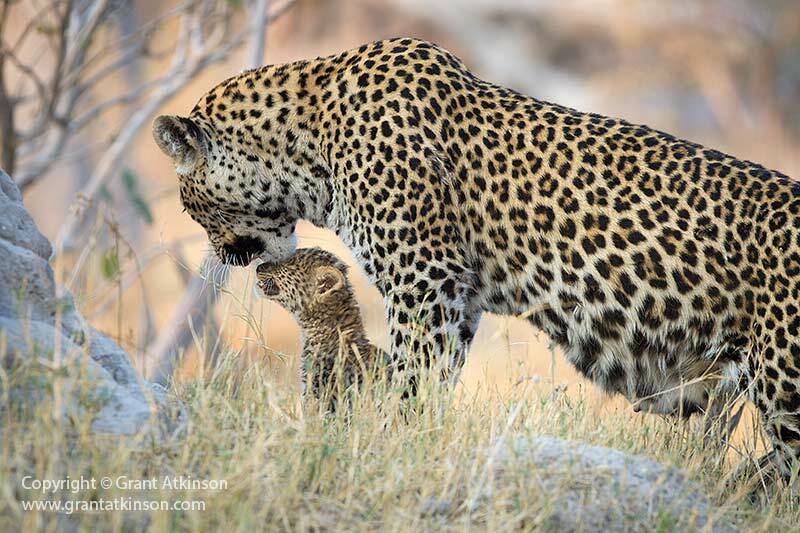 Despite her age, her superior hunting skills, and her incredible ability to avoid danger for herself and her cubs over time make her one exceptional individual animal. Looking forward to our next encounter with this special cat already! How incredible! Thank you for sharing your beautiful images! What a wonderful story Grant. It’s a privilege to see these great animals, but to be able to get a set of images such as these over an extended period of time really adds to it. Such beautiful images they are too.